Feeling unsettled by the state of the world? Maybe you just like to be prepared for anything, no matter what. The idea of a Bug Out Bag is one that many hunters and their families will be familiar with, but the new Costco meal kits were made for doomsday preppers looking for an easy solution to storing large and long-lasting quantities of food. 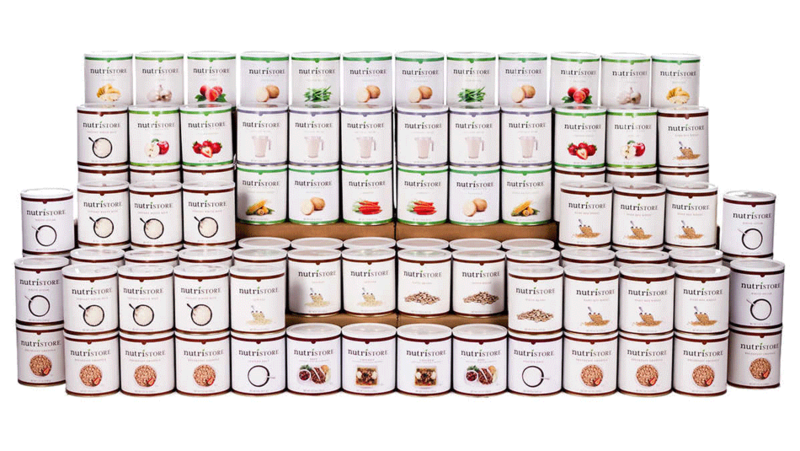 Available in three massive options, you have to see what's inside these emergency food kits. From the brand Nutristore, these emergency meal kits highlight the mission of the company, which is to create a brand that is easy to understand for the "nutrition-focused, budget-conscious" family by creating "shelf-stable food" that is worth the investment. These meal kits are not cheap, though Nutristore goes to great lengths to ensure that their meal kits truly will last the guaranteed amount of time. The 25-year shelf life guarantee is a great value and also makes a great starter kit for families looking to venture into the emergency preparedness realm. Whether you're concerned about climate change, North Korea, nuclear war, or absolutely nothing at all, it never hurts to have dehydrated fruits and a nutritious meal kit in your corner. Costco members have their choice of the emergency kits, which come in three distinct sizes. Let's dive in and see what's inside. With 6,200 servings of food in one tidy package, the first (and cheapest) option will run you to $999.99, or $1,000.00 if you're realistic. While it seems expensive, consider that if you don't have access to a grocery store for your family and something catastrophic takes place in the world, this meal kit means your family will be surviving on about $2.73 of food per day. You know the saying Buy once, cry once? It means even more when you consider the 96 1-gallon cans of food you'll receive. What kinds of foods are in each kit? Here's a list for the 1-year kit: Hard red wheat, instant white rice, granola, dehydrated apples, freeze-dried bananas, freeze-dried peaches, freeze-dried strawberries, dehydrated potatoes, dehydrated carrots, freeze-dried green beans, freeze-dried onions, freeze-dried sweet corn, lentils, pinto beans, beef TVP, chicken TVP, instant milk, white sugar, and salt. Are you a baker? Maybe this kit that features 32,500 servings is for you. Though the price tag is heftier at $3,299.99 (on sale from $3,799.99), this larger kit supplies about 1,400 calories per day per average person. It includes the standardized basics as the above kit, but includes: Elbow macaroni, hard white wheat, shortening powder, chicken bouillon, butter powder, brown sugar, baking power, and baking soda. Want a more complete set for gourmet doomsday meals? This kit provides the average person with 2,000 calories per day for a total servings count of 36,000. For $5,999.99, this huge kit could be yours. This kit includes the items above, and also: Instant rotini, instant pinto bean flakes, instant black beans, freeze-dried broccoli, and iodized salt with a 30-year shelf life. Think you're ready to start prepping for the worst, and hoping for the best? Maybe these kits that last 25 years are for you. This post was originally published on October 3, 2017.